Personality is determined by the interaction of temperament traits with the environment. Each person (including your child) comes with a factory installed wiring. How your child is wired can determine whether they will be easy or difficult to raise. How well their temperament fits with the environment and how well they are received by the people in the environment will determine how a child sees himself and others. Temperament is a set of in-born traits that organize the child’s approach to the world. They are instrumental in the development of the child’s distinct personality. These traits also determine how the child goes about learning about the world around him. These traits appear to be relatively stable from birth. They are enduring characteristics that are actually never “good” or “bad.” How they are received determines whether they are perceived by the child as being a bad or good thing. When parents understand the temperament of their children, they can avoid blaming themselves for issues that are normal for their child’s temperament. Some children are noisier than other. Some are more cuddly than others. Some have more regular sleep patterns that others. When parents understand how their child responds to certain situations, they an learn to anticipate issues that might present difficulties for their child. They can prepare the child for the situation or in other cases they may avoid a potentially difficult situation all together. Parents can tailor their parenting strategies to the particular temperamental characteristics of the child. They can also avoid thinking that a behavior that reflects a temperament trait represents a pathological condition that requires treatment. Parents feel more effective as they more fully understand and appreciate their child’s unique personality. 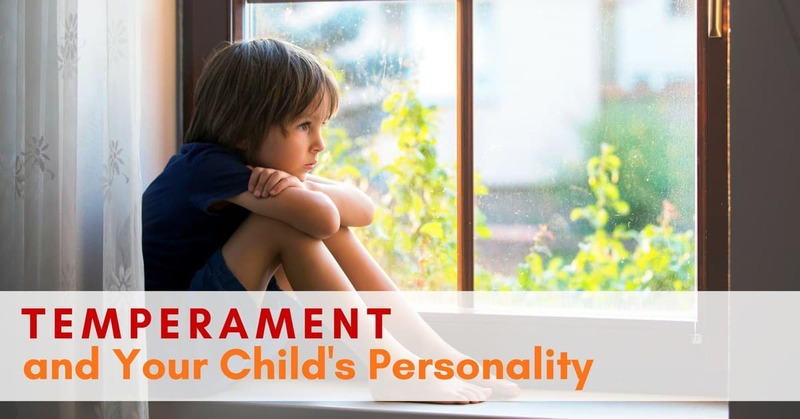 When the demands and expectations of people and the environment are compatible with the child’s temperament there is said to be a “goodness-of-fit.” When incompatibility exists, you have what is known as a “personality conflict.” Early on parents can work with the child’s temperamental traits rather than in opposition to them. Later as the child matures the parents can help the child to adapt to their world by accommodating to their temperamental traits.